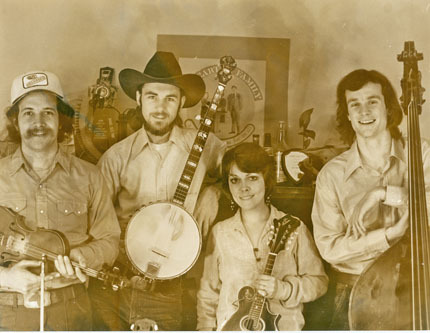 This 1975 recording, the band’s third, took them deep into the world of traditional Bluegrass Music. If we call our music anything, we call it country. But what we are really interested in is touching you with what’s touched us. We know that music has power and we are drawn towards songs with strength. The songs on this record are a few of the special ones. Order The Hotmud Family CD Now! The story of the Hotmud Family began in the late 1960s when three young musicians—Suzanne Thomas, Rick Good and Dave Edmundson—from Dayton, Ohio, began searching out and learning from old records by such pre-World War II country artists as the Carter Family, Uncle Dave Macon, Jimmie Rodgers, the Delmore Brothers and the Skillet Lickers. Inspired by the New Lost City Ramblers, Suzanne, Rick and Dave joined forces for nearly fourteen years to tour, play and record the old-time country music they loved. 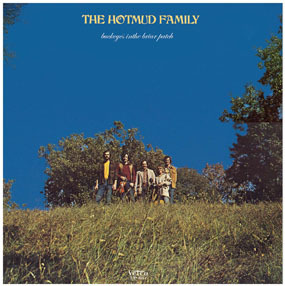 Documenting an especially fertile five-year period (1974-1978) during which the Hotmud Family recorded some of the freshest and most creative traditional country music of their era, these recordings sound even better now than when they were brand new. Copyright © 2019 Hotmud Family – The complete VETCO Recordings.